Whether you’re a new mom yourself or simply looking for a gift, here is some must-have baby gear that we can’t live without! I recently went to the dentist and saw my super cute hygienist who is pregnant with her first baby. As I thought back to my first pregnancy all the “feels” came flooding back. I am so excited for her! This cute little preggo belly had been cleaning the teeth of four out of five of my goobers and exclaimed, “I can’t believe you had five kids! That is so much stuff you had to buy!” Luckily I am the queen of recycling so I passed down almost everything to the next kid. She chatted with me about her overwhelming concern for the amount of “stuff” that comes with a new baby and especially the first! What would she actually need and what would simply be extra fluff? I began thinking that I should write an article for moms just like her who may have the same questions. So, teeth cleaner, this one is for you! Mom gear has drastically changed since I first became a mom 11 years ago. There are some really fun products out there now that can make motherhood and parenting easier, can be fun to use, and are way cute too! So I took a poll among my newer mom friends and here are some of their top picks mixed with my all times favorites. Is it a car seat cover? Is it a nursing cover? What is it? It’s both!! Cheese and sprinkles you need one! This is a 360 degree airy, stretchy fabric that has so many uses! The most popular way to use this product is as a car seat cover and as a nursing cover. The Milk Snob offers full protection when nursing and is easy and comfortable to use. You could also use it as a shopping cart cover, or a high chair cover, or a snuggly blanket. I may buy one to stick my kids in when they are fighting (they can hug it out til they work it out)! 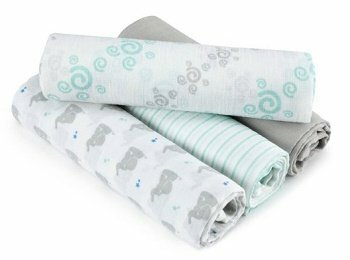 It is machine washable and comes in so many cute fabrics. It’s a must! 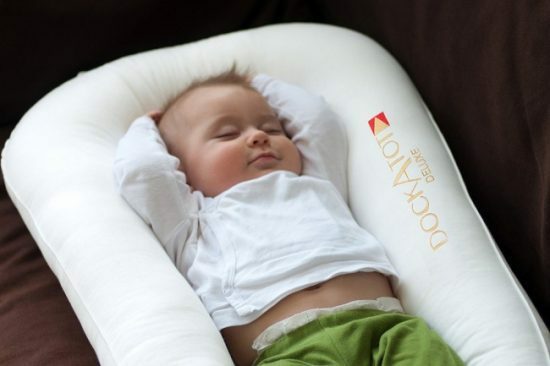 Some may think of the DockATot as an “extra fluff” item. But if you are a parent who is wanting to co-sleep with your baby, then this product is a must. If you choose to co-sleep, please do your research and know the safety guidelines. This is like a portable cloud for babies age newborn up to 8 months. It is lightweight and can travel from room to room easily. You could use it to travel! It is made of breathable, washable fabric. The DockATot becomes a great tool for tummy time and is a great place to change diapers. It is said to reduce the risk of flat-head syndrome due to the soft cushioning and gives the baby a womb-like cradle feeling. You can also buy cute covers to make it a fun accent to any room. Does it come in my size? You may be more budget-friendly and looking for more of a pack ‘n play. These puppies are a must when traveling and I even used mine when I had all my newborn babies in my room. There are some pack ‘n plays that come with all the bells and whistles. You can get some with changing pads, bassinets, and mobiles hooked to them. And with that, they can get pretty pricey. Honestly, you don’t need all that. I ended up taking all that to my local Goodwill, and I just use the base and the pad. I would stick to a name brand like Graco; they tend to rate the best. Here’s another one I found at The Baby Cubby. I wish this monitor would have been available back when I started having kids. There were so many sleepless nights where I would worry about my babies, especially when I would move them out of my room and into their own space. 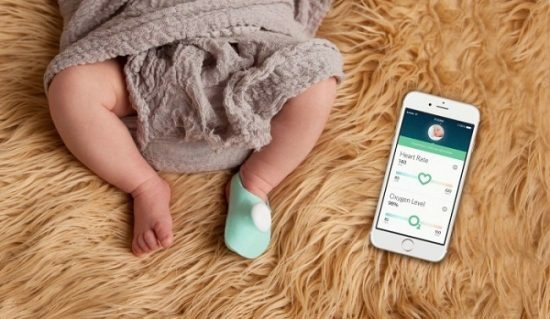 This is a little sock you slip on the baby’s foot that keeps track of their heart rate and oxygen levels. It is synced up to a little light that you stick on your nightstand, and it is also synced to your phone. If something becomes troublesome with your baby’s breathing or heart rate the light will flash and alert you; your phone app will also alert you and let you know that you need to go check on your baby. The Owlet has been known to save babies lives! 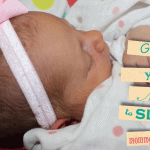 According to kidshealth.org, 2,500 babies die each year from SIDS. It is still unknown what causes these babies to stop breathing. With the owlet monitor, you may choose to sync up your device to the “cloud” so that researchers can study your baby’s statistics so they might better understand baby breathing and heart rate patterns and better understand SIDS. This product is quite amazing. If you head on over to the owlet website there are many testimonials and videos of life-saving stories thanks to the Owlet monitor. 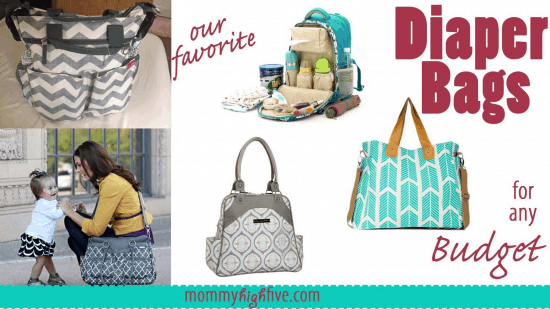 Picking a good diaper bag for you and your needs is super important! I previously wrote about all my fun favorite options. Take a look and pick your favorite! 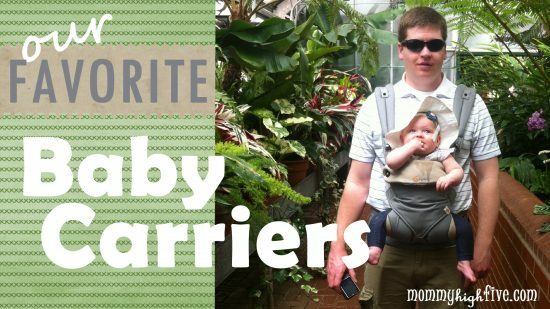 You can also check out my husband’s favorite Daddy Backpacks for some gender neutral carrying options. 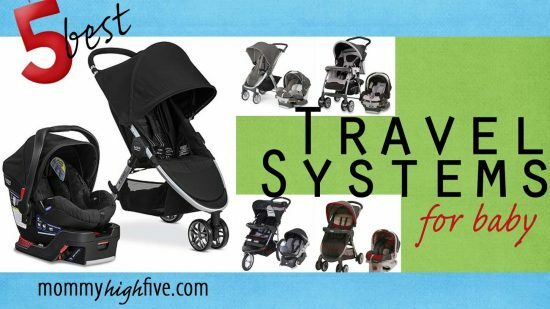 A good travel system for your baby (stroller and car seat combo) is a must-have for any new mom. Why buy separately when you can buy them together? Head on over and check out my favorites! 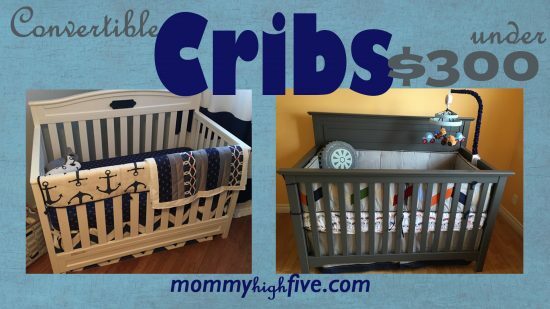 Our writer Megan shared with us her favorite cribs for any budget. Shopping for a crib can be so much fun! It can also be so pricey! Did you know it can be cheaper to buy them online?? Win! I discovered these blankets with my last baby. These blankets almost make me want to have more babies–almost! They are soft, thin, cuddly, and just the right size. They make swaddling so easy. The baby is 2, and she still loves hers. They wash up great and come in such cute prints. They are worth the money due to the quality you are getting! Aden + Anais also sells burp cloths which are super handy when baby is a little older. There are times with a new baby that you just want to snuggle that little one but be hands-free, or they are just fussy and you need to get things done. That is when a good baby carrier comes in handy. You can find everything you need to learn from Ashley there! 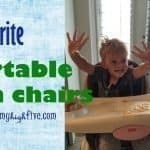 One of my favorite items that I used every time I had a new baby was a bouncy chair/rocker. It is nice to be hands free sometimes. And there are some moments when baby is crying and you are stressed out and you just need a minute. Baby will be safe and sound in this rock n play sleeper. It will sooth and calm them right down. It plays songs and sounds effects and rocks baby back and forth. It is slightly inclined so baby can play or sleep. It is lightweight so it can easily be moved from room to room. 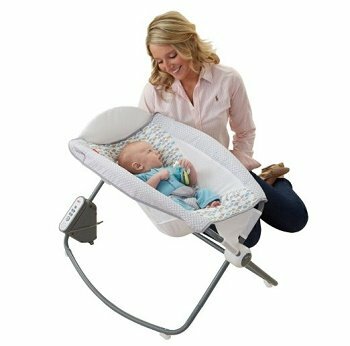 The Rock ‘n Play Sleeper cover is machine washable and has a buckle so baby is safe. This is the top of the line baby monitor. It is actually a video monitor. There are so many great features that you will be happy with this purchase for years to come. 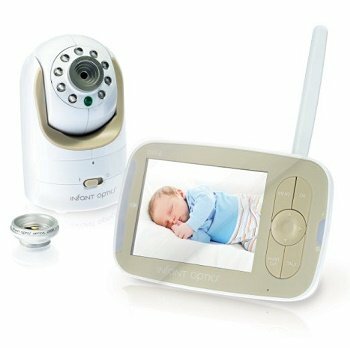 This specific monitor comes with multiple zoom lenses that are easy to swap out so you can have a closer view of baby when they are tiny, but you can swap it out for a wider angle lens for then they are mobile and moving around and you need a broader viewing area. It has an intercom system so you can chat with your baby via a two-way talk system. It will also keep track of the temperature in the room and has a noise light up system so you know when baby is awake. It has a 3.5 in display screen and can easily be charged in any room. Battery life can last up to 10 hours! It is highly rated, and customers are extremely happy with this monitor. Ok dental hygienist, hopefully, this list meets your needs. Did you know that you can set up your baby registry right on amazon.com? If you plan on having baby showers for your upcoming new arrival, do some online shopping. Make an online registry and make it easy on your guests too through Amazon. You can also set up a registry on babycubby.com. Shopping for your new arrival can be overwhelming, but it can also be fun! Don’t stress and just enjoy! Congratulations on your new arrival!